The 1st and 6th Battalions served on the Western Front throughout the war. Regiment: Royal Garrison Artillery, 38th Siege Bty. Country died/cemetery or memorial: France, CAMBRAI MEMORIAL, LOUVERVAL, Panel 1. The Yeomanry was the mounted arm of the Territorial Force; a part-time version of the cavalry which was established in 1908 but drawing upon militia and volunteer units dating back many decades. Dorset Yeomanry Queens Own 1st were formed at Sherborne in August 1914. The cemetery dates from the First World War, when Ramleh (now Ramla) was occupied by the 1st Australian Light Horse Brigade on 1 November 1917. Field Ambulances, and later Casualty Clearing Stations, were posted at Ramleh and Lydda from December 1917 onwards. The cemetery was begun by the medical units, but some graves were brought in later from the battlefields and from Latron, Sarona and Wilhema Military and Indian Cemeteries. The Royal Garrison Artillery developed from fortress-based artillery located on British coasts. From 1914 when the army possessed very little heavy artillery it grew into a very large component of the British forces. It was armed with heavy, large calibre guns and howitzers that were positioned some way behind the front line and had immense destructive power. Alfred was born in Accrington, Lancs, the son of Ignatius Monarch. 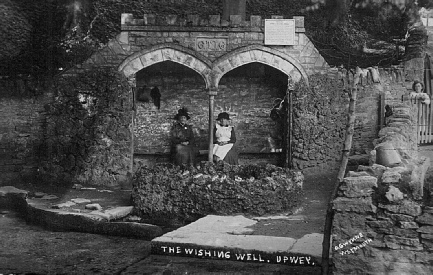 Alfred married Beatrice Palmer, of Kildare, Upwey, in 1908 at Weymouth. 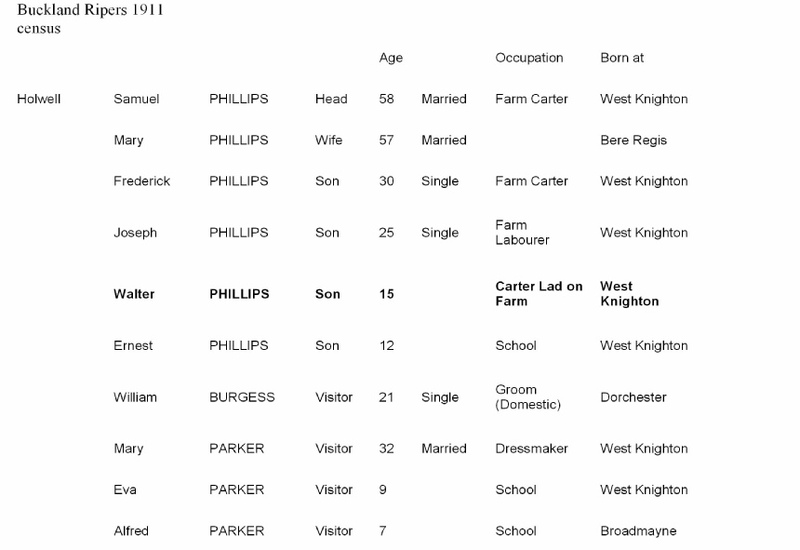 1891 census the Palmer family (parents and 8 children) were living on Old Road, Ridgeway. John's occupation was market gardener and his wife Bessie a greengrocer. The 1901 census records them living at Little Hill and the 1911 census at Kildare, John a market gardener. Regiment: London Regiment (Royal Fusiliers), 1st Bn. Country died/cemetery or memorial: France, ARRAS MEMORIAL, Bay 9. The Arras Memorial is in the Faubourg-d'Amiens Cemetery, which is in the Boulevard du General de Gaulle in the western part of the town of Arras. The Commonwealth section of the FAUBOURG D'AMIENS CEMETERY was begun in March 1916, behind the French military cemetery established earlier. It continued to be used by field ambulances and fighting units until November 1918. The cemetery was enlarged after the Armistice when graves were brought in from the battlefields and from two smaller cemeteries in the vicinity. Regiment: Dorsetshire Regiment 1st/4th Bn. 1/4 Battalion of the Territorial Force served in India and Mesopotamia. August 1914 : in Dorchester. Part of South Western Brigade in Wessex Division. Moved to Salisbury Plain. 9 October 1914 : sailed for India, landing Bombay 10 November 1914. 23 February 1916 : landed at Basra with 42nd Indian Brigade and remained in Mesopotamia for the rest of the war. Country died/cemetery or memorial: Iraq; BAGHDAD (NORTH GATE) WAR CEMETERY; II. F. 5. The North Gate Cemetery was begun In April 1917 and has been greatly enlarged since the end of the First World War by graves brought in from other burial grounds in Baghdad and northern Iraq, and from battlefields and cemeteries in Anatolia where Commonwealth prisoners of war were buried by the Turks. Born at Broadwey Cyril was the son of Mary Hodder (formerly Newman), of Portesham, and the late Thomas John Newman. From Parish Records: parents marriage at Broadwey on 2 November 1886. Thomas John Newman married Mary Cuff, both from Broadwey. Lost with the ship at the Battle of Jutland. The Battle of Jutland was the only time that the British and German fleets of 'dreadnought' battleships actually came to blows. It was a confused and bloody action involving 250 ships and around 100,000 men. HMS Queen Mary - On 31 May 1916, a huge cloud of smoke rises when HMS Queen Mary explodes 38 minutes into the battle of Jutland after being struck by a salvo from the German battlecruiser SS Derflinger. Queen Mary blew up after being hit by two 12-inch shells on 'A' and 'B' turret and their respective magazines were detonated. In all, 1,266 men lost their lives. Foot Note: "The casualties were 57 officers and 1,209 men killed; 2 officers and 5 men wounded. One officer and one man were subsequently rescued by German destroyers." In addition to Reginald Northover ; AG Boggust and WT Doylend , Broadwey men were onboard. Regiment: Grenadier Guards 4th Bn. Country died/cemetery or memorial: France; ETAPLES MILITARY CEMETERY; XXII. O. 23. During the First World War, the area around Etaples was the scene of immense concentrations of Commonwealth reinforcement camps and hospitals. It was remote from attack, except from aircraft, and accessible by railway from both the northern or the southern battlefields. In 1917, 100,000 troops were camped among the sand dunes and the hospitals, which included eleven general, one stationary, four Red Cross hospitals and a convalescent depot, could deal with 22,000 wounded or sick. Son of Herbert and Ellen Louisa Parker, of Broadwey, Dorset. 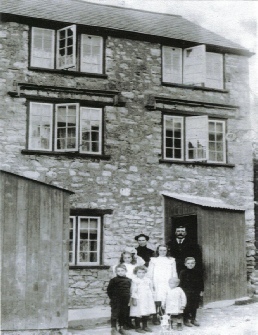 Husband of Frances Annie Parker, of 25, Alexandra Cottages, Charlestown, Dorset. The 97 graves in Row K and graves 31 to 83 in Row L were brought in after the Armistice from the Aegean islands cemeteries. John's father (also John) was headmaster at St Nicholas School Broadwey until he retired in 1930 and his mother was a teacher there. Regiment: Gloucestershire Regiment 1st/5th Bn. Country died/cemetery or memorial: France; BRAY MILITARY CEMETERY, II. F. 42. The cemetery was begun in April 1916 by fighting units and field ambulances. In September 1916, the front line having been pushed further east, it was used by the XIV Corps Main Dressing Station and in 1917, the 5th, 38th and 48th Casualty Clearing Stations came forward and used it. In March 1918, the village and the cemetery fell into German hands, but were retaken by the 40th Australian Battalion on 24 August, and during the next few days the cemetery was used again. 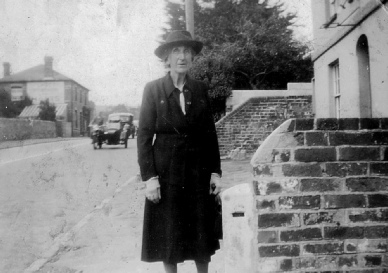 Son of Samuel and Mary Jane Phillips, of 7, Bridge Buildings, Broadway, Dorset. Native of Holwell, Buckland Ripers, Dorset. Regiment: The Queen's (Royal West Surrey Regiment), 3rd/4th Bn. Country died/cemetery or memorial: France, BROWN'S COPSE CEMETERY, ROEUX, III. H. 27. William's parents : Isaac Powell of Upwey married Mary Norton of Upwey on 8 February 1873 at Upwey. Mary died 1925 and Isaac 1926, both buried at Broadwey. Suez was an important hospital centre during the First World War with two Indian general hospitals, two stationary hospitals and casualty clearing stations based there at various times. The War Memorial Cemetery was established in 1918. Born at Broadwey, the son of Dr John and Elma Pridham, of Hillfield, 592 Dorchester Road, Broadwey, Hugh Trevor enlisted in London. The Doctor's Home and Consulting Rooms were at 592 Dorchester Road from c1889 until 1995, when the practice moved to a brand new Health Centre at Littlemoor. He was husband to Mary Elizabeth Riggs of Upwey. Regiment: Royal Engineers, 2nd/1st Lowland Field Coy. Country died/cemetery or memorial: France, THIEPVAL MEMORIAL, Pier and Face 8 A and 8 D.
After the War ended, Thiepval was chosen as the location for the Memorial to the Missing to commemorate those who died in the Somme sector before the 20th of March 1918 and have no known grave. Son of late Richard & Elizabeth Rolls of Winterbourne Abbas. HMS Mersey had a relatively successful career in the First World War and had two prominent incidents. At the Battle of the Yser in 1914, off the coast of Belgium, she bombarded German troops as well as artillery positions. In July 1915, she was towed to the Rufiji River delta in German East Africa, where she and Severn then assisted in the destruction of the German light cruiser SMS Königsberg. On 6 July she was damaged by return gunfire from German light cruiser Konigsberg. On 10 July 1915, ROLLS, Reginald J, Sick Berth Steward, 350785 (PO), was one of 2 men who died of wounds. France, FORESTE COMMUNAL CEMETERY, I. A. 2. George, worked as a stonemason for Great Western Railway at Weymouth; believed to be one of the last apprentices employed by them. He was one of the older men, who belonging to the National Reserve, responded to the call of their country as soon as war broke out, being used at first for Home Service duty. But when the age was put up, he joined the Dorset's and was soon in the fighting line. Sadly he died within 3 weeks of being sent to France, leaving Mrs Squibb with a young family and little else. It was with great regret that the village heard that Mr George Squibb had fallen in the great battle of the advance in France. Living in the Bincombe houses on Ridgeway Hill the family is not, properly speaking in Upwey Parish, so his name does not appear on our Roll of Honour, but it must always remain an honoured memory in the village. At the time of his death, he had seen a great deal of service. He believed very firmly that God would answer the prayers of his wife and children by bringing him safe through. But the answer for them too has been that the cup may not pass away from them unless they drink it, and with their Redeemer 'Thy will be done' and that His angel from heaven will strengthen them through their agony. May 1917. Footnote: G Squibb is recorded on the brass memorial plate at Upwey church so presumably his name was accepted when the memorial was made after the end of the war. Foreste Communal Cemetery was used by the 92nd Field Ambulance in April 1917 and later by the 61st (South Midland) Division. The village fell into German hands in the summer of 1918. The cemetery contains 117 Commonwealth burials and commemorations of the First World War. 22 of the burials are unidentified and special memorials are erected to 23 casualties buried by the Germans whose grave cannot be traced.